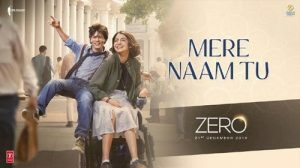 Presenting the first song from highly anticipated movie Zero starring Shahrukh Khan. Mere Naam Tu Song Lyrics is penned by Irshad Kamil and is a beautiful song sung by Abhay Jodhpurkar. The music has been composed by Ajay-Atul.